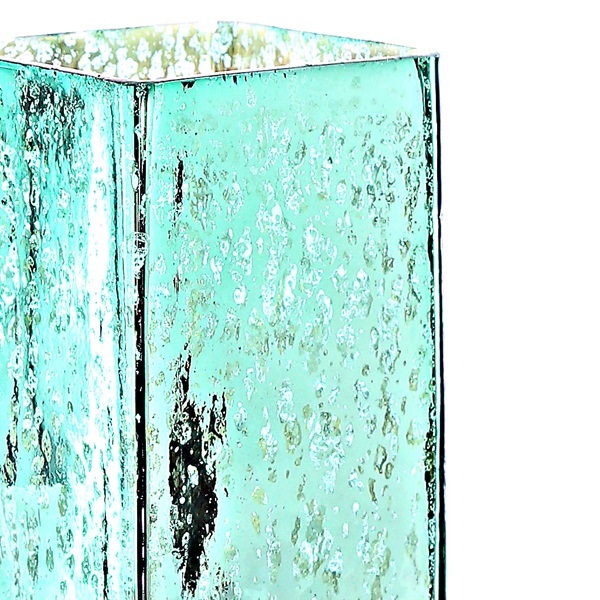 Classically contemporary, this uplight accent lamp combines a modern shape with the antique beauty of mercury glass. 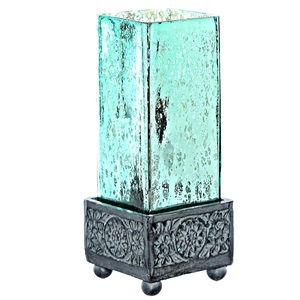 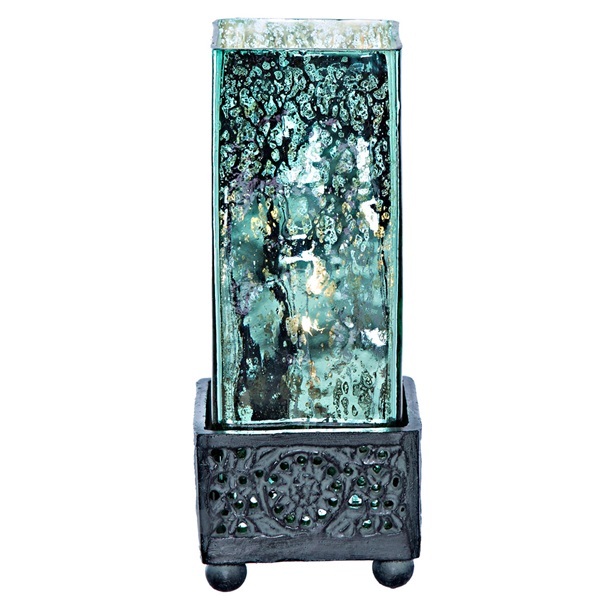 A handblown square glass shade rests on an ornate metal base. 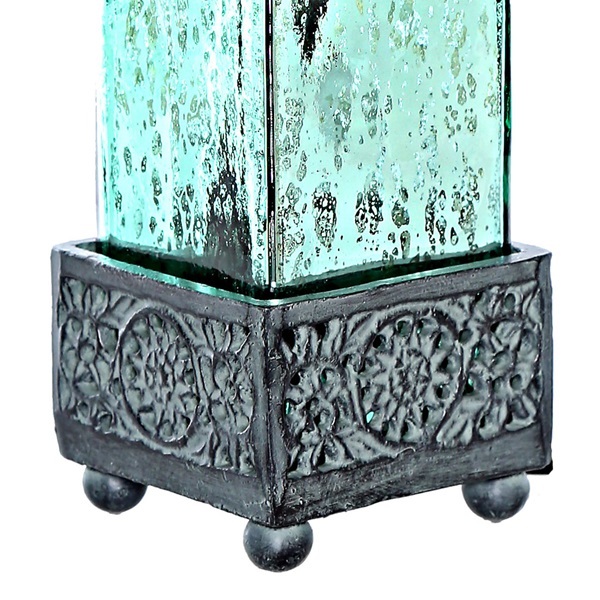 This uplight was handcrafted in India by glass blowing artisans. 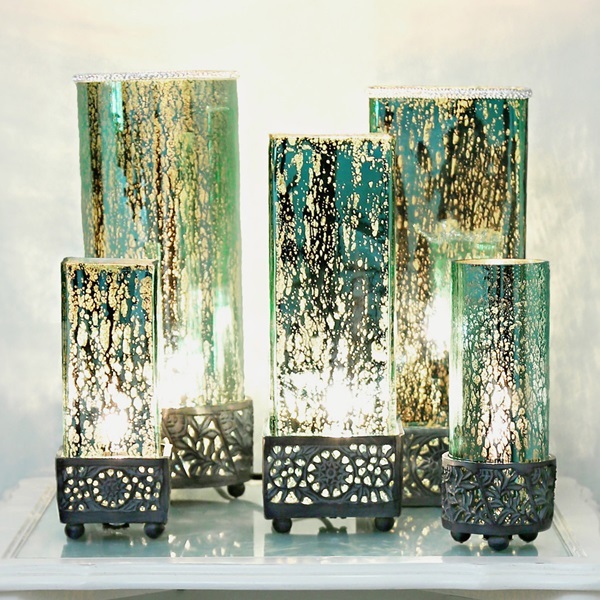 Perfect to bring some light and color to your home. 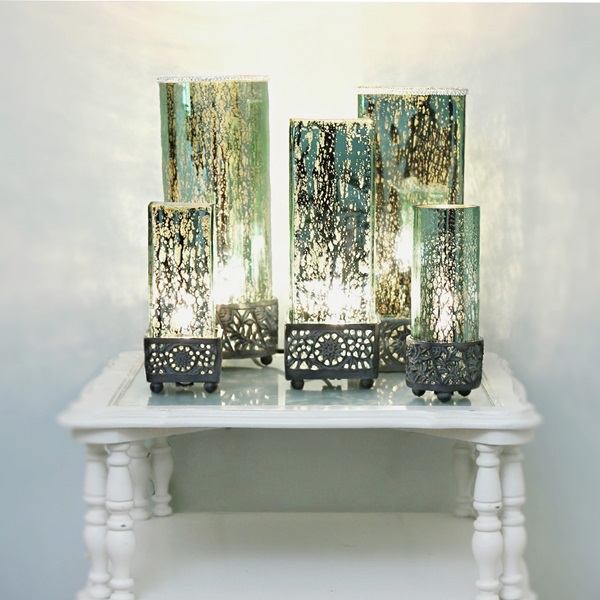 This piece of art will brighten your bedroom, living room, or a table center piece.